Condition: Fair for age, with overall wear. Notes: A marvelous 'woven door'. This would orignally have hung across the entrance to the nomadic Turkoman heder's yurt (circular tent), and acted almost literally as a door. It is thought that the cruciform design was a sort of aping of the wooden crossbeams on heavy wooden doors (though there have also been, less probable, suggestions that it was influenced by Imperial Russian Orthodox emblems). 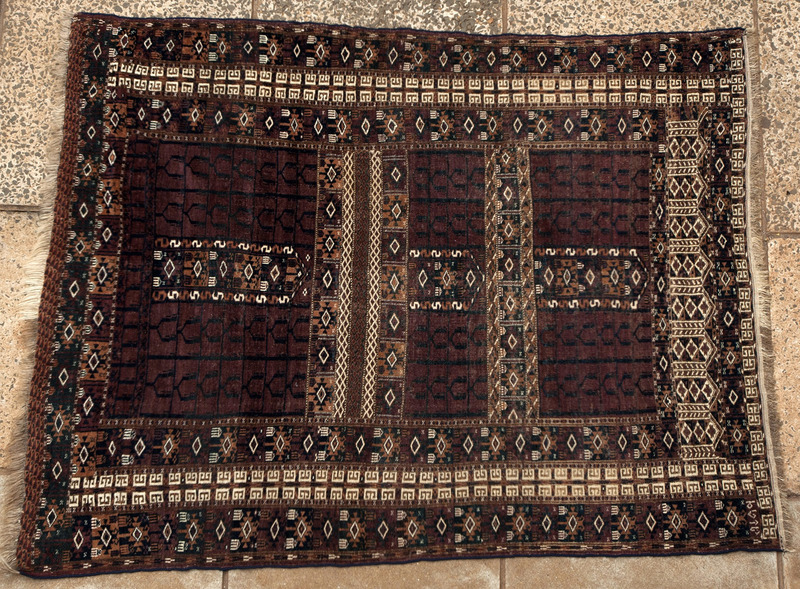 The rug is littered with tribal motifs, including the 'ram's heads' in the borders and the 'candlearbre' type drawings in the body.